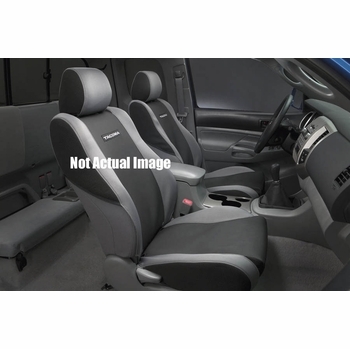 These extremely high quality seat covers from Toyota are made from a water resistant �wet suit like� material. Each cover also features a stitched Tacoma logo in white letters on a black background for a custom look. Lookin to dress up the interior of your Tacoma? Then a set of Toyota's new Sport Seat Covers is just the ticket. 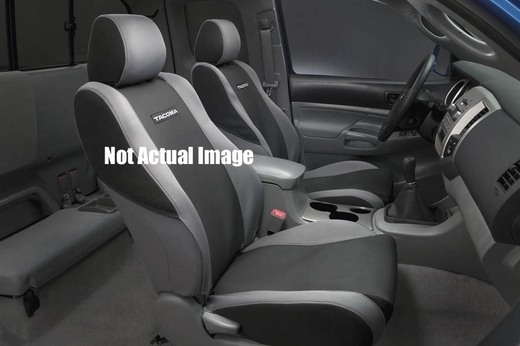 They feature taupe colored woven-ribbed design center inserts accented by neutral gray side panels to match your Tacoma's interior with black mesh panels to help maintain a snug fit.